Old airplanes and young men: More please. What are these mad desires that smoulder deep within my little black heart? What are these smells, sounds and feelings that leave me breathless and always wanting more? Finally, a change that I can embrace or at the very least, enjoy for a spell. It hasn’t always been this way for me. In all truthfulness, I have always had a mad love affair with old aircraft but the young men….they never really held sway with me. How could one simply not be enamoured with vintage aircraft? The lines, the curves, the turnbuckles fastened tight with impeccably twisted wires……all so sublime. When I see fresh fabric stretched taut over a wooden frame and then discover that the stitching lines up with military precision, I am left awestruck. I doubt that there is a more sensual sight in the entirety of the universe. Stinky old radials, barking and coughing to life with the ever present threat of conflagration has always tickled me. Wooden floors, powder coated tubing and leather o rings in the primer, leaking until they get wet…Sigh! Yeah, I’ll take more of that please, all day long. When I was a young thing, barely old enough to date, I opted for the older boys. They had cars, a bit of money and their parents were not interested in chaperoning us every single minute of every single day. My parents were not amused by any of it, unfortunately. I distinctly remember a party that I once attended. I was obviously younger than most but I was welcomed there nonetheless. As the evening progressed, one young man decided that it would be a good idea to start streaking around the place. Let’t face it, there is always one crazy white boy in the mi that just needs to get naked. Oh well. The following week, when I went back to school, our history teacher was absent but guess who our new substitute was? Yep. It was crazy, naked white boy. My silence was bought at a very high price. Since he was a reappearing substitute, I got away with murder that year! It was short lived however. When I awakened to my twenties, guys in their twenties seemed ridiculous to me so I bumped my minimum age requirement up to the forties. Again, these guys had all the right toys. This time, it was aircraft in all shapes and sizes. When I was in my thirties, I decided that maybe I should settle down a bit. I opted into a very serious relationship with a gentleman who was twenty years my senior. My parents were somewhat relieved, to say the least. Fast forward a decade and all of a sudden, I am not finding the old boys so hot. As a matter of fact, I am liking those guys that I wouldn’t have given a second thought to when I was cresting my second decade of life. By some weird twist of fate, they are liking me back. The more I ponder on it, the more I realize that they share a great deal with the aircraft that I find so evocative. They are simple in their construct, simple enough that you can figure them out after a good hard look. They are both made for preening and show. They don’t require excessive maintenance if you play nicely with them. They come to you honestly, not pretending to be more than they are because being what they are is enough for them. They are real. They are rugged. They are precarious. They are flammable and infallible. They are hard and yet so fragile. I have to try very hard not to break either. 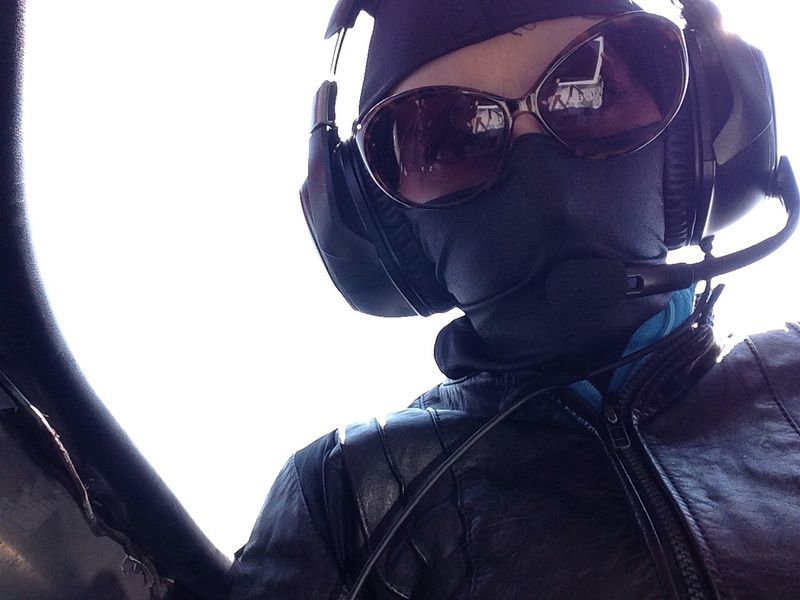 Mostly, I have just come to accept that I really like riding them…airplanes, that is. Yeah, that is what I meant! It is with great pleasure and humility that I have accepted one of two Bill Adams Memorial Foundation Legacy Prizes. I was contacted last night by Mr. Adams and informed that as first runner up, I was being awarded one of the unclaimed prizes. It is an honour for me to help commemorate such an astounding Airshow pilot. Bill Adams truly was a cornerstone to both Barnstorming and to the art of Wingwalking. 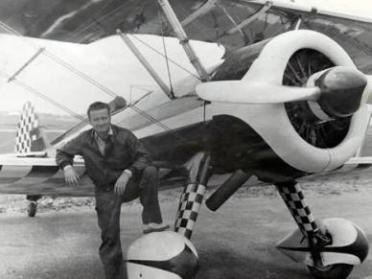 The videos of his flying have left me awestruck and while I intend to use his namesake prize to help relocate my talent to the back cockpit of my own Stearman, I highly doubt that I will ever replicate his signature Stearman triple snap roll…..at least for now. Taking this prize over the top for me is the fact that it has awarded me an opportunity to fly with a living legend of air shows and aerobatics. I have admired Patty Wagstaff for a very long time. 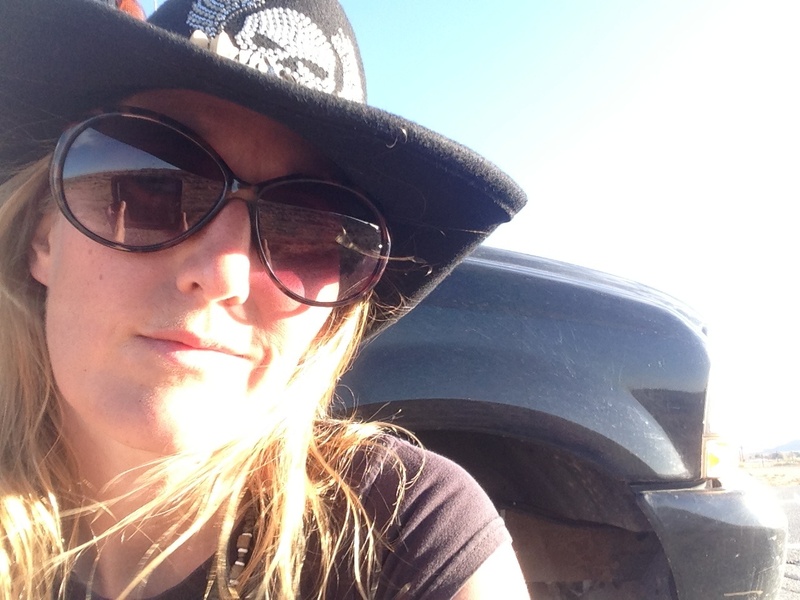 She is nothing short of a hero to me and in a great twist of fate, I am also privileged to call her my friend. I have no doubt that it will be the funnest training session in history. My most sincere gratitude to the Adams family. So here I am at 2500 AGL, flying across the country on a three day quest, under the gun to get to my next air show in a bright red, seventy year old Stearman piloted by my trusty friend, Marcus and yep….you guessed it, I am bored. So bored in fact that I am writing a bleeping blog about it. There is obviously no pleasing me. I could name twenty people, right now, who would sacrifice all and others to be in my place. Colour me impatient. Seems like as good a time as any for a catch up and update, for those who might care. Marcus and I just did our season wrap on filming with Historia for an upcoming show that will air in May of 2016. The previous show that we filmed with: Airshow, featured on Discovery, has had it’s run. Airshow aired in Canada, Latin America, Europe, Africa and Arabia. It’s a weird feeling to know that aviation fans in Egypt and Iceland alike now know my name and follow me on social media. 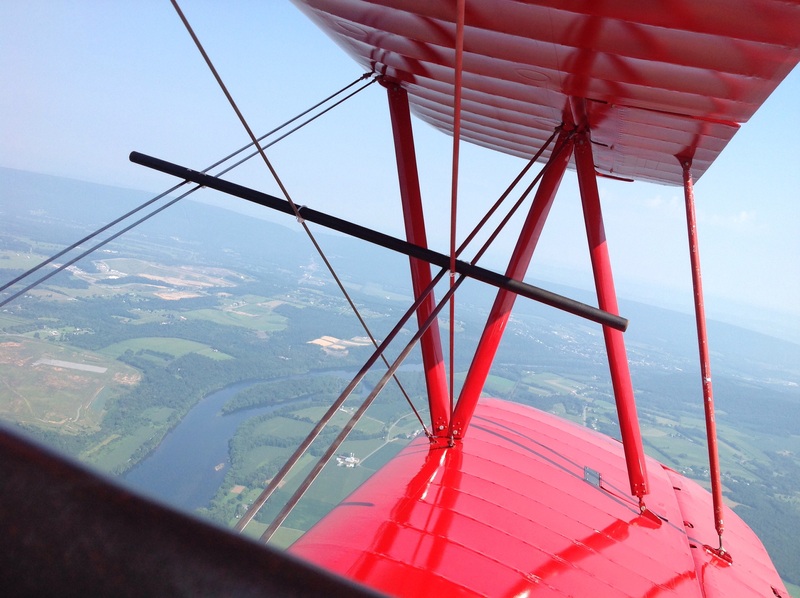 The world is truly a smaller place…..unless, of course, you are trying to get across it in a Stearman. I saw a lot of dedication, commitment and frustration during the making of Airshow and I learned much about this new industry that my toes were dipping into. Plenty of lessons learned on the saga. I was disappointed to see that it was not renewed but nothing ventured equates to nothing gained. Several will view our non renewal as a failure but at the end of the day I managed to place Wingwalking in front of seventeen million worldwide viewers, every week, for twelve consecutive weeks. Several of the characters managed to form an actual fan base that transcended both events and the industry alike and several of us became draws for the events that hired us. I would be lying if I said that I had expectations that were not met but I still feel like Wingwalking got a heck of a showcase out of it. I would venture to say that it has never had a broader audience. Looking to the future, Airshow will start to air in Quebec, in French in a week. It will be followed by the new show that I am working on for the History channel, in the spring and Third Strike Wingwalking will make a rededication to Wingwalking that I hope the industry will welcome. Third Strike will be branching out into different forums and as usual, I will keep doing exactly what I love doing: Wingwalking on my pretty red mistress. I decided that I could at least avoid some of the pitfalls simply by adding a position or two to my team. Dual wing acts have been seen before but not quite like this. Third Strike will continue to offer the best entertainment that a dollar can buy but we will be forging a future for Wingwalking. At this point, there are so few of us and frankly, our best days are mostly behind us. Wingwalking features mature aerialists accompanied by an aging pilot base. Third Strike is motivated to ensure continuity in the art form through hands on training programs accompanied by the dissemination of a profound knowledge base. We hope to offer a training environment that offers security, safety, peer assessment and review and a frank sharing of knowledge that is inclusive of all aspects of operations. My fingers are icing up as I tap out this message. It is pretty chilly up here today. I also find myself gazing out at that big red wing to my right and imagining a slight figure moving in and around the wires with nothing more than a tether and a smile to keep the danger at bay. I’ll be darned if it isn’t scaring me a bit. It’s going to be a great year. I can feel it in my bones! Throttle it up, a Baby! So the argument was made that Superman was the best of heroes because when all the other super heroes were too busy running around being their alter ego, secret identity, human selves ….. all that he had to do was be Superman, Kal El, the alien. I rejected this argument completely. Not only was Superman trying harder than anyone to have a life, he based his entire existence upon the family values instilled in him by the Kent’s. His love of Lois Lane was only acted upon once that he was reassured that Lois chose Clark Kent over the man of steel. His secret identity may not have yielded the most complex of disguises yet there he was, an alien, the only one of his kind with unmatched powers, more concerned with being Clark Kent than the saviour of the world. He came from a loving family, grew up in the security of a small town, held position as a respected journalist and eventually married the woman of his dreams. All very human aspirations…specially for an extra terrestrial. Maybe he was overcompensating? This brought Batman to mind. A man determined to exact revenge on crime over the death of his parents at a young age. Devoid of super powers, armed only with a working knowledge of the martial arts and a stubbornness that knows no bounds. He dedicated his life to becoming the worlds foremost detective and crime buster. Some would argue that he was Bruce Wayne. Bruce Wayne was merely a mask. The man was the bat. He was devoid of parents from a young age, he rejected love and chose a life that removed him from humanity. His only precarious ties came from his unidimensional relationships with his butler and series of side kicks that eventually moved on or died. He was a man, determined to live larger and die harder than any before him. So who was the greatest hero? Was it an alien who embraced humanity or the human who rejected it? Both arrived at the same place, more or less with the same result by making decidedly different life style choices. Does one decide that Superman wins based solely on his invincibility and strength or do the honours go to Batman for being absolutely vulnerable and mortal? Hard to decide but I will take The Bat every time. That dude is tougher than wood pecker lips! There are only two responses to fear. You can face everything and rise or you can bleep everything and run. I am no stranger to fear but this year has handed me more than my fair share. This has been the season of uncertainty if ever there was one. It seems that every facet of my existence has been a big old question mark at some point this year; physical, financial, emotional….nothing has been spared. The uncertainty and the fear that accompanies it has run the gamut of distracting through debilitating. A little background intel might help clarify things. The start of the season saw me confronted with the worst physical injury that I have ever sustained during my entire stunting career. I suffered from restrictive movements in a shoulder which was accompanied by chronic pain. The biggest issue was getting an accurate diagnostic. Once this was done, 90% of the battle was won. With some persistence, intensive therapy and by changing the entire routine to accommodate the injury we managed to work through it. As I write this, 95% of movement has been restored and the associated pain has completely abated. The last two years have seen me surrounded by a group of dedicated, eclectic and outright awesome individuals, following my every move, seeing me at my worst yet striving to portray me at my best. Since we are admittedly talking about me, you can imagine that I have given them no easy time of it. This documentary, this series, this monster that we have all conspired to birth sits waiting in the wings. My part is done, others are finishing theirs. Now, we wait. What we wait for is the real mystery. The show is the show and a reasonably good one at that but what we are really waiting for is the world’s reaction to it and how these reactions will affect us all. I feel like I am sitting on the edge of a cliff with my feet dangling over the abyss…..I would say that I’m getting ready to jump but it is more truthful to say that I will be getting pushed. No parachute, no wing suit, no tethers. Just acceptance or rejection and whatever party they bring in tow. I have discovered that putting your life out there for others to judge is pretty darned scary. On a personal level, I have been dealing with a changing at home business and a family that has been acting in unprecedented ways. Nothing bad….just different but difference from the one source that you expect to be constant is disconcerting. The last eight months have also seen me acting as one half of a not quite whole, entirely unstable, romantic liaison which has recently resolved itself into nothingness. Third Strike itself may also be on the verge of morphing into something different. The jury is still out on that one. Yay for more unresolved stuff! While I have never feared an honest stunt or even a close call, I readily admit to harbouring a healthy dose of fear about my future and all the unknown, unqualified and unaccountable gremlins reeking havoc within it lately. In the midst of all this newness and unwelcome change, I was decidedly feeling lost and uncertain ….then it happened. I lifted my head up out of my own self absorbed little world for a fraction of a second. That milisecond was just long enough to see someone who I respect and admire make a horrifying decision. He chose to bleep everything and run. I watched him do it. I could not stop it. In that instant, my heart broke into a million pieces for him. I was hit with the stark realization that this choice could never be mine. *Author reserves the right to bleep everything and run if bats are involved. I have pretty big concerns about CFR and their roles in our industry. I also have some very serious concerns about how some of my colleagues have been publicly responding to fire threats recently. Let me supply a bit of information to catch you up. Our industry has recently lost an individual, who was nothing short of iconic, due to the most inexcusably botched CFR response time in the known universe. Someone bleeped up to the point that it cost another human being his life when he could have so easily survived. Needless to say, the issue now has our attention. Before this all transpired, I had been known to stand down on practice day at several events that did not have CFR in place on practice day or that did not have prepared CFR on site during the show. I have been doing this for a while. I have also been a lead tattle tale for CFR crews that are in different states of unpreparedness during events. This has not always made me the most popular chick at the show. More performers have been choosing to stand down in similar instances since the recent accident. Excuse my bluntness but there is nothing new here. Performers have been burning in their air planes since there have been airplanes to burn in. We can all probably name at least 20 accidents from the top our heads that have involved fire. Some died on impact, some died afterwards due to sustained injuries, some even died before impact due to fire. Wether fire is actually the cause of death or not, you can rest assured that it is usually there with bells on. Because of this, I have a marked respect for the possibility of conflagration. All this being said, CFR is not required on site by CARS or the FAA on practice day. I do not like flying without CFR on site, therefor I do not. At some point it is like biting off your nose to spite your face. What is more unsafe? Flying in a new box without the benefit of dress rehearsal or flying without the protection offered by CFR? The answer is obviously flying without rehearsal. No one has ever become a better performer by practicing less.There is something else that I know. I know that I have 1 to 2 minutes to get out alive if I survive an impact. It’s doubtful that I can do this without assistance. The implications are sobering. Most events do have CFR in place on practice day. Others do not. Our industry leaders should be requesting that changes be made to require CFR on practice days. This is a no brainier. It needs to be done. The fact that performers are still quite willing to fly without CFR in place only ensures that we get to keep burning in our aircraft. If a behaviour does not change, can one wonder at the results? Shortly after the accident, I witnessed performers, air bosses and event support services offer up suggestions to shows of localizing a ready to roll CFR truck at center stage with engines running. This truck would respond solely to air boss command. Every single event complied without hesitation. This is a great start on the road to proactively insuring our own protection. Some performers are going another direction. They are suggesting that we collectively arm ourselves with fire extinguishers and plan on rescuing ourselves/each other. Again, excuse the bluntness but there is nothing new here either. I have always had a fire bottle within reach and I have always been prepared to come to the rescue. I have never known a performer to not be ready to assist another in need yet, surprisingly, the saves have been few. The reasons for this are obvious: no access, no awareness, no time. We are not there to be CFR. We are there to be performers. This one single role can fill up a day pretty fast …..to the point of not even knowing who or what is flying let alone who is in distress. This is not a solution. We are already doing it and it decidedly does not work. Do not misunderstand my intent. I will continue to look out for my fellow performers, as I always have but this is not, by a long stretch, a suitable solution to the problem. What we need is for events: military and civilian alike to espouse a much deeper understanding of our needs. We need this same understanding from CFR as well. Please consider the following : it is entirely possible that the best protection that a performer can offer him or herself and his or her colleagues is to simply say ” No! I will not fly in my prescribed time slot as I feel that CFR is not adequate to the intended flight”. At the end of the day, we need trained professionals with the right equipment doing the jobs that they are qualified to do. Anything else falls woefully short of the mark. Sequestration: Where the bullet meets the bone. While this may seem like the end of the world, it is nothing of the sort. Now hear me out on this. I’m not talking from the hope and moon pony’s camp. I’m coming to you live from the inside of the air show equivalence of Zombiegeddon. A reality check of the industry will validate that there are probably only a handful of air show performers on the circuit who actually earn a living doing shows. For some, it’s a break even venture but for most it’s a lost leader. The industry has always been full of the “I’ll do it cheaper because I want people to love me” bleeps that make earning a living next to impossible in any walk of life. The industry has done nothing to address this by calling it the free market. So be it. It has only led to the degradation of a quality product but we do love us some Walmart bleep, don’t we? For the guys and gals out there who blazed the trail with sponsorship deals, this will indeed hurt both our industry’s credibility and their individual livelihoods but when you build an industry platform based on the premise of free stuff instead of sustainability, you can expect exactly what is happening because free stuff is, at best, unpredictable. Our failing was in not recognizing and addressing the situation much earlier. No one is to blame for our fiscal dependence on the military save ourselves. We were never entitled to it to begin with. I’m hearing rumours of performers and service suppliers throwing themselves at a shrinking number of shows, way under market value since sequestration has come into effect. I sustain that this is merely another day at the office as exercised by the same above referred to bleeps. In other words…seems like more of the same to me. There simply comes a time when you need to cut expenses and get your spending back under control. I personally did it last year. It wasn’t easy. I didn’t like it. It was downright humiliating but you know what? My aircraft is paid off and I can meet my fiscal obligations now. It’s called being responsible and sometimes…you just have to do it…. no matter how much it bites. As we speak, every military demo out there is being paid for by money that is borrowed from China. I for one would rather go without my entire industry than live with that knowledge. Air shows may be different for a while. Heck; they may disappear altogether for a while but at the end of the day, the future will only bring something better because it will be ours: Paid for and debt free. I’m building it as we speak. My friends are building it as well. When the time is right, the military will rejoin us. This is where the bullet meets the bone. It’s going to hurt but it’s not like it’s a vital organ or anything. The military has enough to deal with right now without all the incessant whining and finger pointing. It’s time for us to act like the patriots that we claim to be and to start reciprocating all the support that we have received from them in the past. Each man and woman in service has been willing to sacrifice their lives for my freedom and in return, performers risk ours for the success of their open houses. It’s time to remember that bond and to start acting with the integrity that such a bond demands.